An Olympian, six-time consecutive World Speed Skiing Champion and former world record-holder, Franz Weber still holds the North American record, at 129.303 mph/208.092 kph which he set in 1983 in Silverton, Colorado. He dominated the sport of speed skiing from 1980 to 1985, winning over eighty percent of the races he entered. He retired as World Champion in 1985 but returned to the sport of speed skiing seven years later to compete in the 1992 Winter Olympics at Albertville, France where he clocked his fastest personal time of 138.112 mph/222.222 kph (average speed). 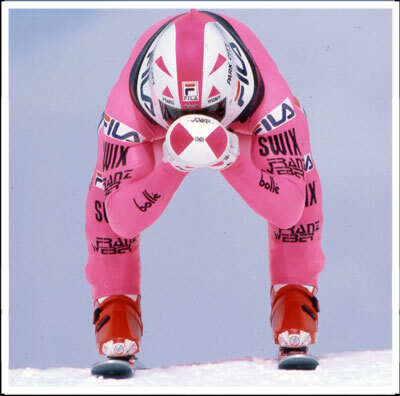 Feeling he had achieved his speed skiing goals, Franz permanently retired from the sport following the 1992 Olympics. 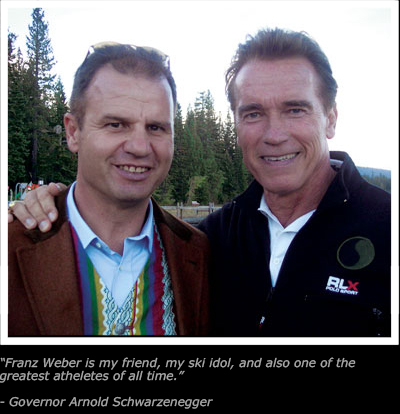 Franz Weber remains very active in numerous alpine skiing events and competes on the popular Legends/Champions Tour. He is a two-time overall winner of the Tournament of Champions and four-time Rolex Legends Series Champion. 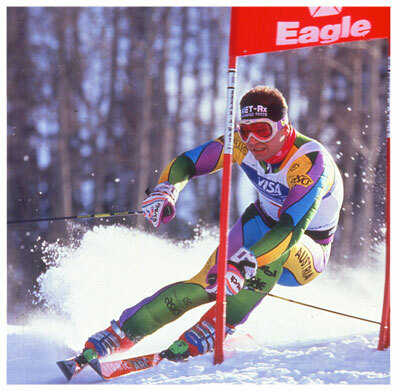 In 1996, Franz was one of four skiers who broke a world record by skiing sixteen Colorado ski resorts in one day. In 1997, he won the Legends Downhill Championship in Vail, Colorado and placed first overall in the Masters Division of the MCI World Downhill Championships. In 1998, he won the National SG Masters Championships, and his Masters’ record includes winning all but two of the more than fifty races he entered. In 2005, he and five others were honored by Austrian Chancellor Dr. Wolfgang Schüssel for their athletic achievements and economic contributions to Austria. 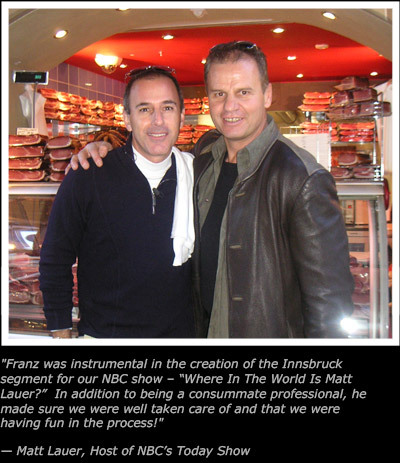 Proud of his heritage, Franz assisted in the creation of the NBC Today Show “Where in the world is Matt Lauer?” featuring his birth town, Innsbruck Austria, while also including his home in Reno/Tahoe. On November 26, 2007, Franz was the recipient of the prestigious “Schneekristall” award (providing him with lifelong free skiing privileges in Austria). The award was presented to him by the Austrian ski resorts for his contributions to the sport of skiing. 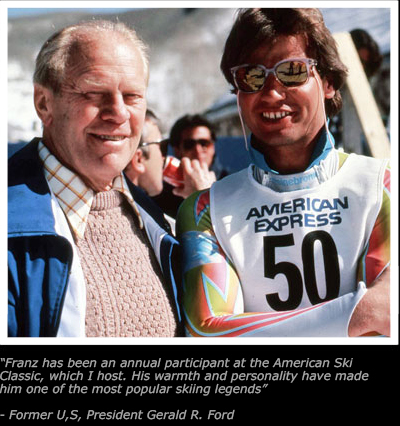 On November 18, 2011, Franz was inducted into the International Sports Hall of Fame for his career achievements and contributions to the skiing community. He is a supporter of the Reno Tahoe Winter Games Coalition dedicated to returning the Winter Olympic Games to the Sierras. When he is not skiing, Weber's schedule is filled with promotional and personal appearances for sponsors, celebrity sports events, speaking engagements and charity events.